Since over ten years Michael Richter sees through projects as consultant, trainer and project manager. His main focus is user-oriented product development and everything that goes with it: business modelling, requirements engineering, usability methods, prototyping and specification. As leader of the Zühlke Education Centre he is responsible for the public training offers of Zühlke Switzerland. 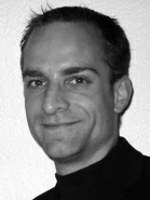 Since 2001 he is directorate member of the section Software Ergonomics of the Swiss association for computer technology. Since 2006 he is an extraofficial college lecturer at the university for technics in Rapperswil. He is co-author of the book "Usability Engineering kompakt" (2007 / 2010, Spektrum Verlag).